Twitter recently announced its policy for handling the accounts of deceased users. Before I get into my thoughts about the policy, Kudos to them. They’re ahead of the many social websites that do not have any stated policy. It’s also worth stating that there’s a pattern here. Facebook created the memorialized profile around the same time that they began to suggest friends or ask you to reconnect with inactive users. When users complained about reminders of their deceased friends, Facebook acted on the issue accordingly. I’m sure that Twitter faced the same complaints. Nudges from our friend, Adele McAlear and Gizmodo probably didn’t hurt either. Another friend of ours, Jeremy Toeman, CEO of Legacy Locker, proposes that the policy isn’t good enough. I’m inclined to agree. So let’s break the policy down. I like to evaluate policies for deceased users along three categories: notification, verification and action. I’m pleased with the notification method that Twitter has provided. I believe that email or a web form is sufficient, so I applaud them for allowing fax and postal mail as well. Their verification process seems alright, too. While not 100% secure, verification via obituary or news article seems fair. My dissent with the policy lies in the actions that Twitter will take. Twitter allows families of the deceased two options: remove the account and/or provide the family with an archive of public tweets. I have to commend them for providing the archive. That’s more than Facebook will do. The blog post regarding Facebook’s policy is littered with comments about losing the wall posts of the deceased. Jeremy mentioned that the policy lacked the idea of desired intent and I agree there as well. I would say, however, that their policy doesn’t specifically exclude that concept. If a user asks their digital executor to either delete or archive their Twitter account, they would be in luck. That said, the ideal situation would allow Twitter users to specify their wishes before their death, perhaps in their account settings. I have to ask why deletion and archiving are the only options. Why not allow profiles to stay in place with a memorialized indicator? Perhaps even dedicate space on a user’s page to replies that they receive following death. There are opportunities here to design a much better memorial to the user, rather than ushering their profile away as if they never existed. To summarize my points quickly: Having a policy is better than not. Users should have a choice in their accounts’ disposition. Social networks need to shift from dealing with death to designing for it. Their services hold great potential as memorials and, out of respect for their users, they should embrace it. Thanks for the inclusion. 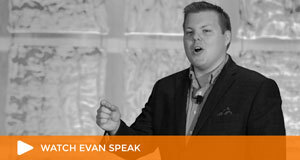 You’ve raised some good points Evan, particularly about designing for death. I find that most social networks are so busy looking forward and trying to acquire new users that there’s no resources allotted to the death of a user. But, like you, I commend Twitter for at least making a start. There’s a long road ahead for establishing norms for online services and deceased policies. I think the work that all of us in this space are doing will help to drive change through awareness. Thanks for the comment, Adele. Your thoughts are always appreciated. Thanks for reporting twitter’s first step on handling online deaths. 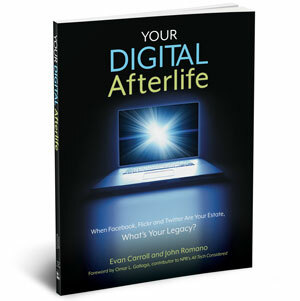 This is good news for those concerned with digital dying. People are becoming more and more concerned with online accounts when someone dies. There is a long road ahead in establishing effective policies.